Linton Heights are Netball County Champions! 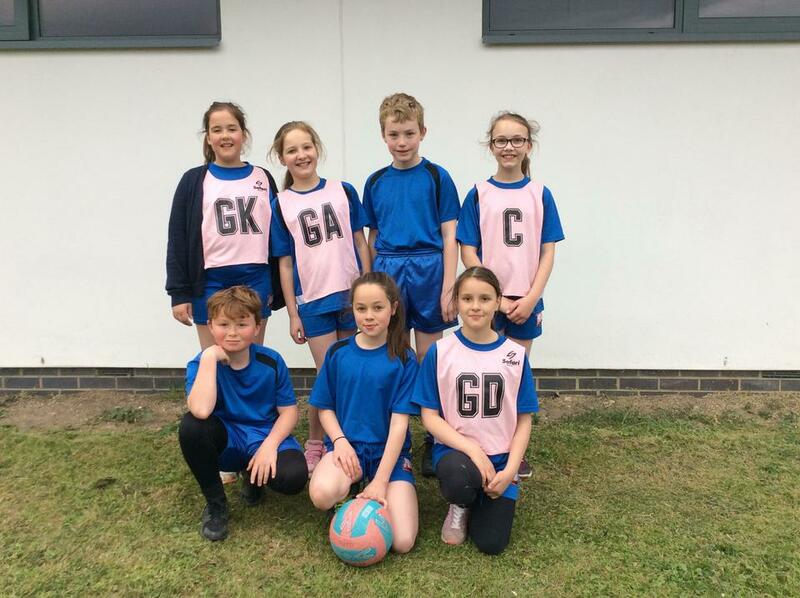 Mr Penfold and Mrs Cassidy took our Netball A team to the Cambridgeshire County finals at Cromwell College, Chatteris. On a very hot day, the team started off with 3 wins qualifying them for division one and the chance to become county champions. 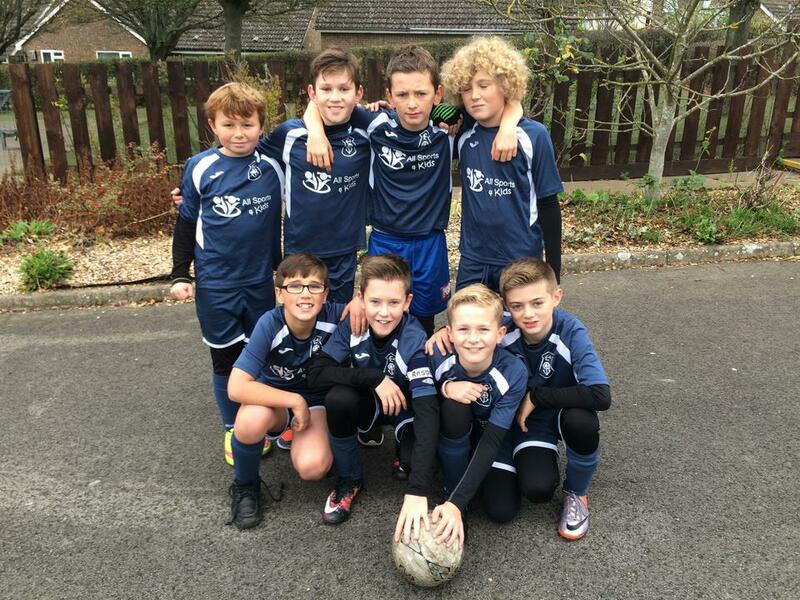 In division one the team stepped up their performances starting with a 5-1 win and a 1-1 draw, needing a win from their last game, the team rose to the challenge and won 8-2 and therefore were crowned CAMBRIDGESHIRE COUNTY CHAMPIONS! This result was so thoroughly deserved and is the schools biggest sporting achievement to date. 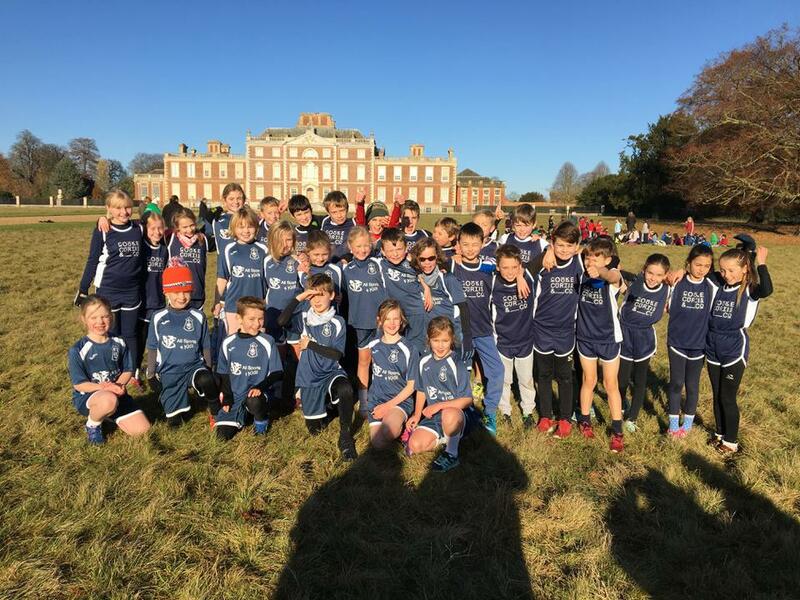 On Tuesday morning Mr Penfold took 38 children to Wimpole Hall for the SCSSP cross country running competition, to try to defend our two year running title. Congratulations to all our runners especially Casey and Cressida who both came 1st in their races and Marcel for coming 2nd in his race. We are so proud to announce that Linton Heights finished in 1st place for Y3 & 4 and 4th place for Y5 & 6. Thank you as always to our amazing parents for their continued support. 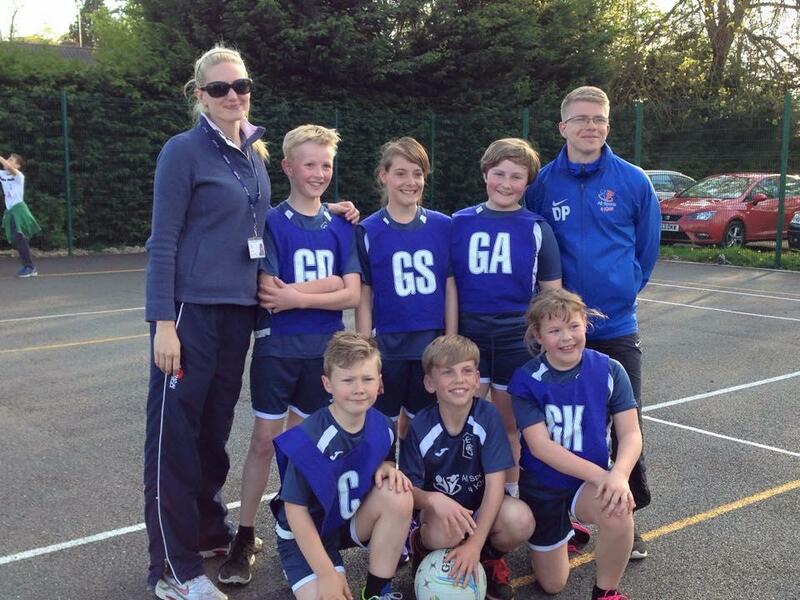 Mr Penfold and Mrs Webb took our netball A team to Impington VC for the netball finals night. In the pouring rain our team won pool C with 3 wins which qualified them for division 1. In division 1 they then won another 2 matches and lose just one match all night. This was a fantastic night which led to us finishing in 2nd place out of 57 teams! 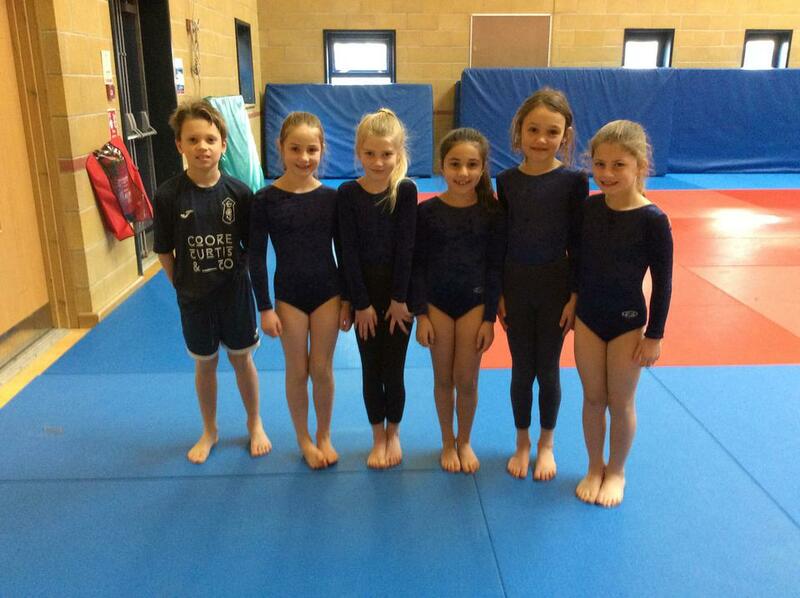 The team have also qualified for the county finals. A big thank you to the parents for their support in the rain! 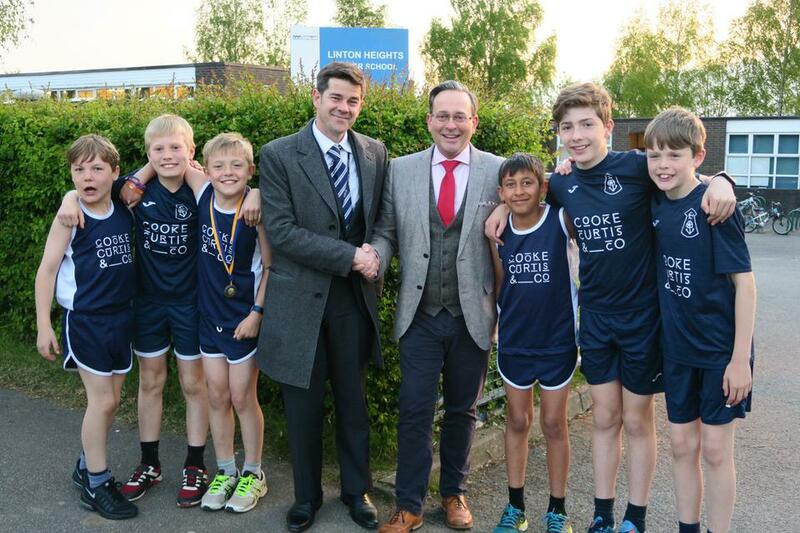 Mr Puxley with our Sponsor Jamie Curtis from Cooke, Curtis and Co.
On Wednesday the cross country team took part in the Cambs cross country relay championships at Priory Park, St Neots. 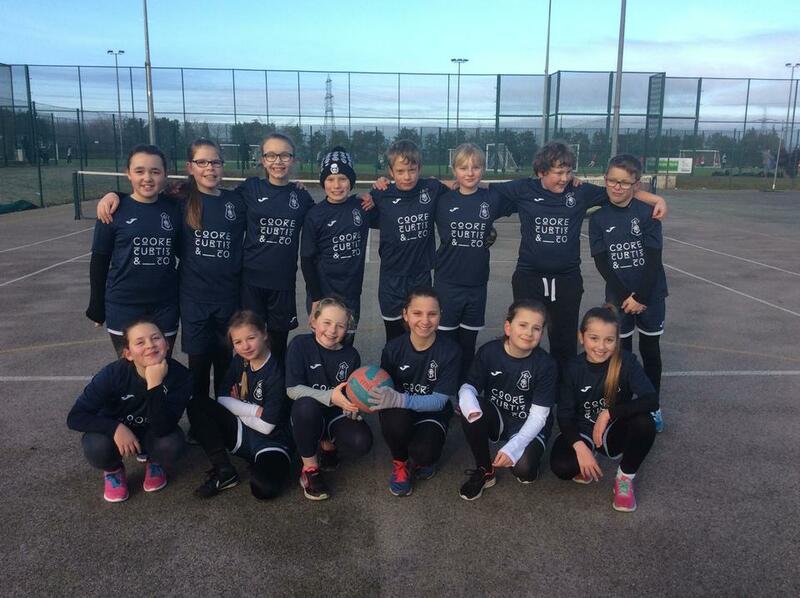 ‘Cooke Curtis’ incredibly generous gift of our fabulous sports kit really gave our runners a strong sense of pride and the staff and pupils at Linton Heights are indebted to ‘Cooke Curtis’ for their generosity and kindness. 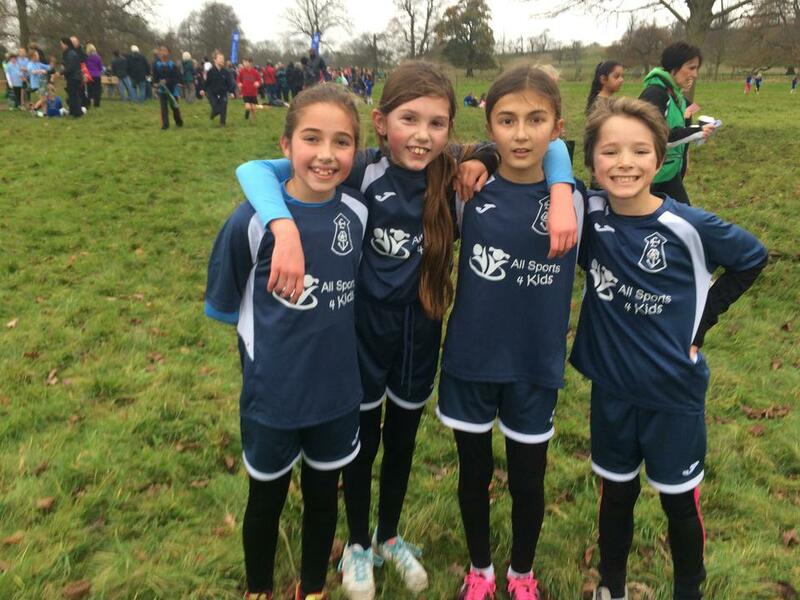 Our A and B girls’ teams ran a brilliant race and finished in 14th and 35th place respectively out of 109 teams. 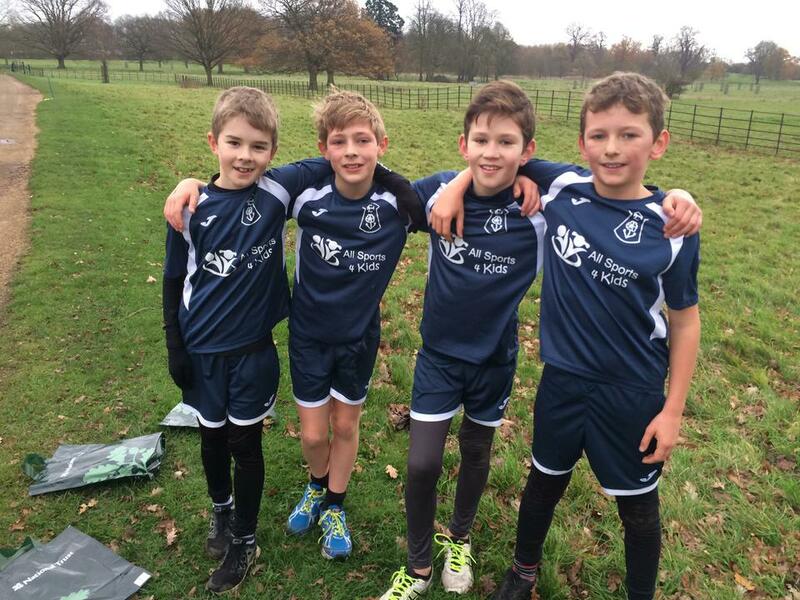 Our A, B and C boys’ teams also ran a fantastic race to finish in 5th, 28th and 43rd place respectively out of 137 teams. A great result for all of our runners. We would like to thank our wonderful supportive parents and siblings for their encouragement around the course. This was a great sporting evening enjoyed by all. 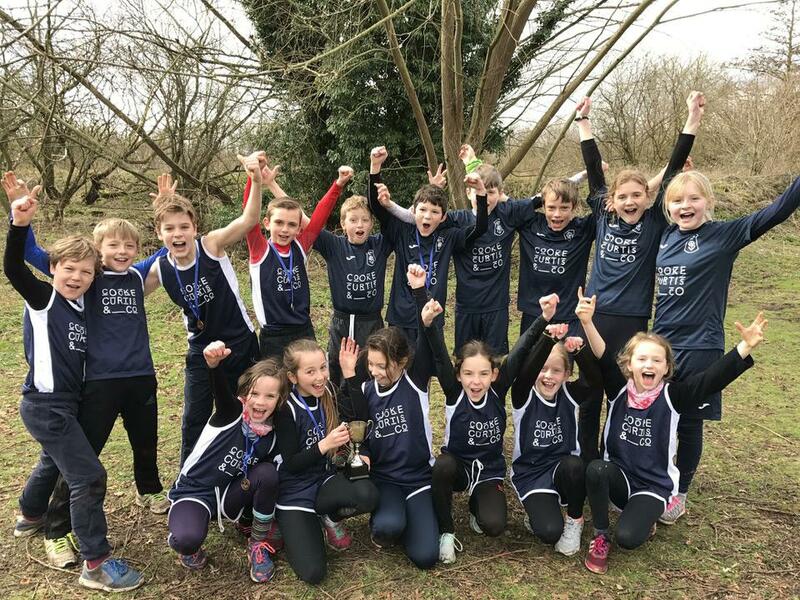 We are so pleased and proud to tell you that our running team came overall first in the Cambridgeshire County cross country race yesterday morning, what a huge achievement! There were some specific podium placements for Sophie, Cressida, Aaron, Marcel and Rupert and collectively it is was a brilliant performance from the whole team, congratulations to all our runners. Thank you so much to the parents who helped with transport and supporting the event, we could not attend these sporting events without you. 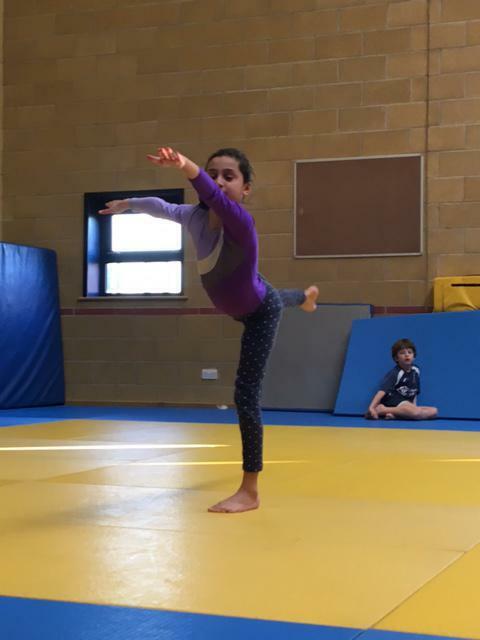 O Wednesday Mr Penfold & Mrs Linsdell took our gymnastics team to Comberton Village College to the Key Steps Gymnastics event. We are very proud with the performances of the whole team which earned them a 4th place finish out of 13 schools. 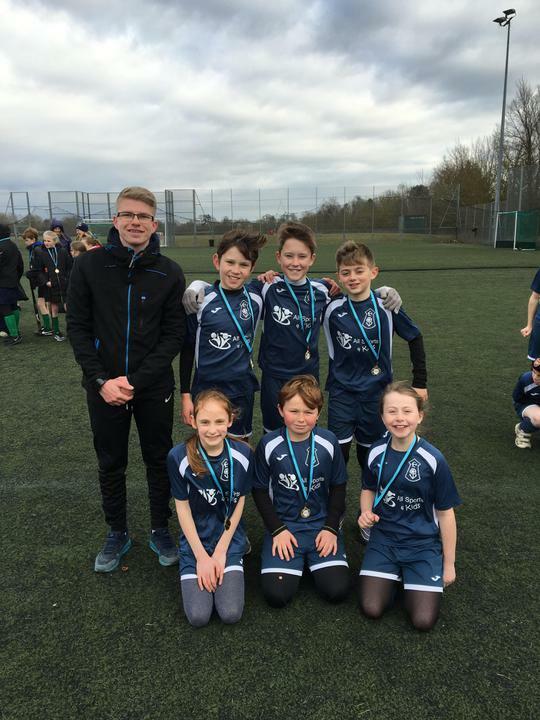 Well done to our very own Mr Penfold for his outstanding organisation of the cluster football and netball event yesterday, which was very kindly hosted by LVC. 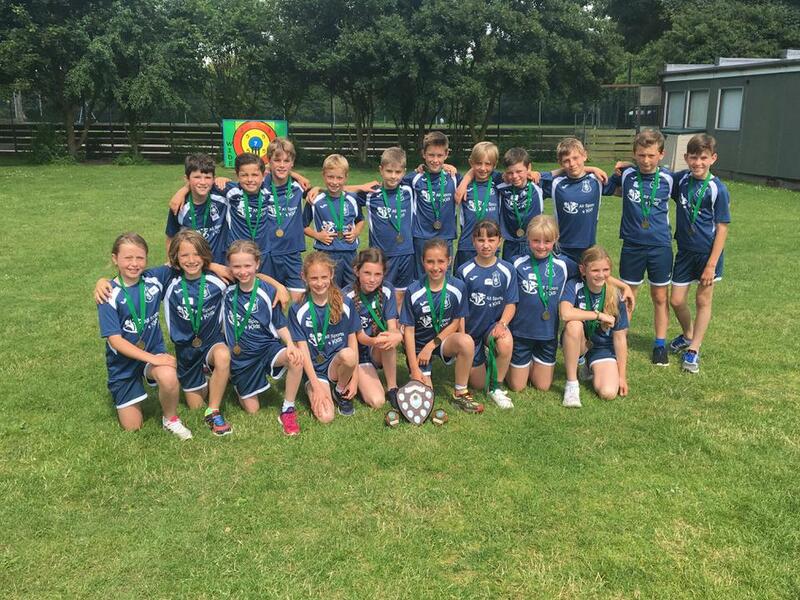 We are so pleased and proud to announce that all of our teams, both first and second football and netball came first place overall. Congratulations to all who took part and thank you to the parent helpers for their amazing support as always. A fantastic sporting morning for Linton Heights! 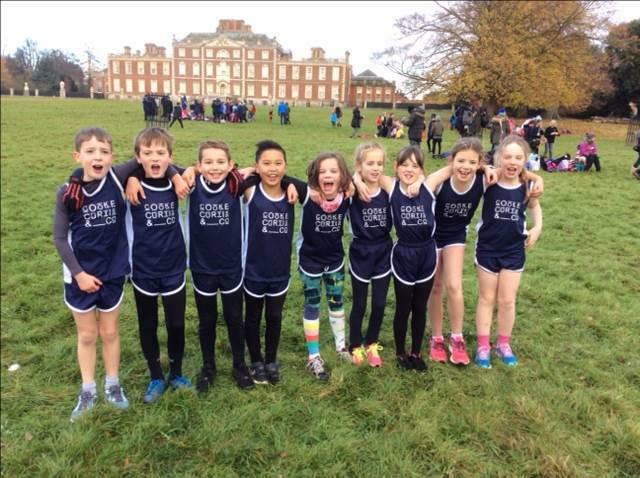 On Tuesday Mr Penfold took our cross country team to Wimpole Estate to take part in the SCSSP cross country event. 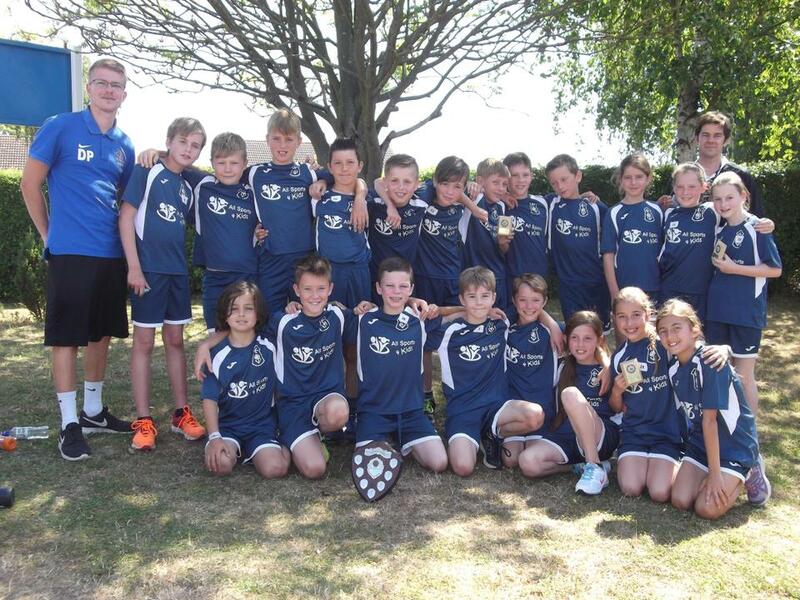 We are delighted to announce that we have retained our Upper school running title as champions! For the first time ever we also took lower school children and we are very proud to say they finished in third place overall. Well done to all our runners but special congratulations go to Cressida, Rupert and Marcel who finished in podium place. Thank you also to all of our parents and volunteers for their continued support. 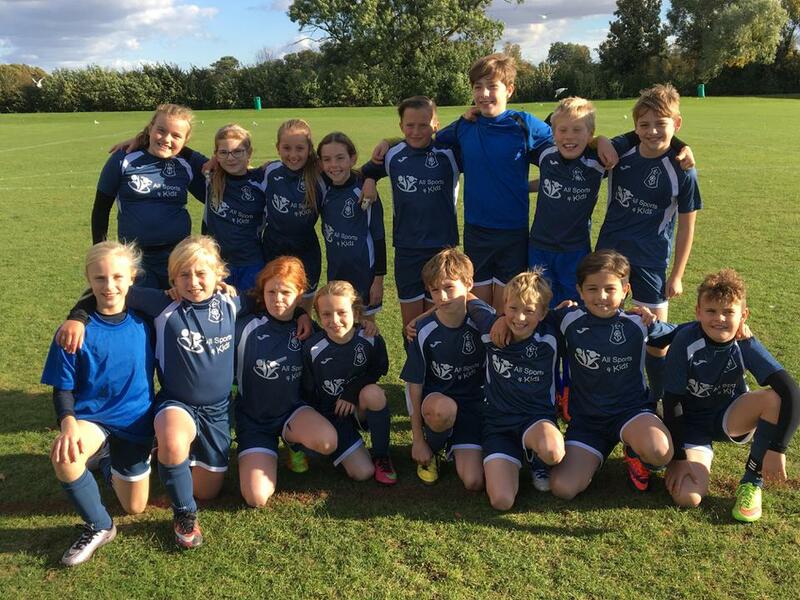 On Tuesday afternoon Mr Penfold took our boys and girls football teams to Impington Village College to take part in the ESFA cup. This was the first time the girls team had competed at this level and we were very proud of the way they played. The boys had some close matches but they played their best. This was a great experience for all of the players and thank you so much to the parents and grandparents who supported us. 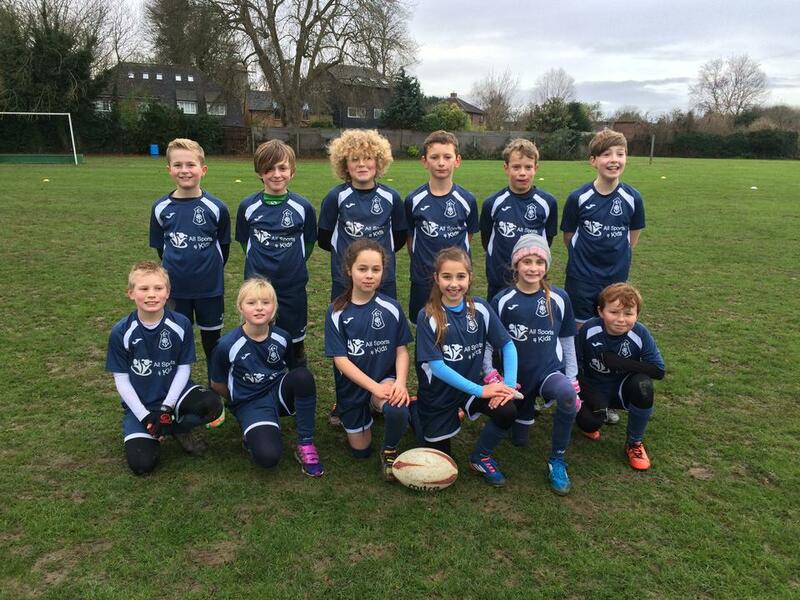 On Wednesday afternoon, Mr Penfold took our tag rugby team to Cambridge International School to take part in a rugby festival. 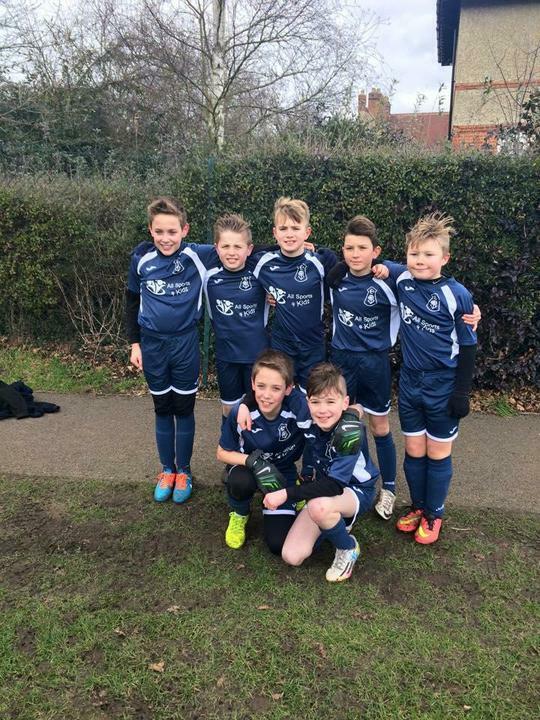 We are very proud to say that the team played really well and won all of their matches. 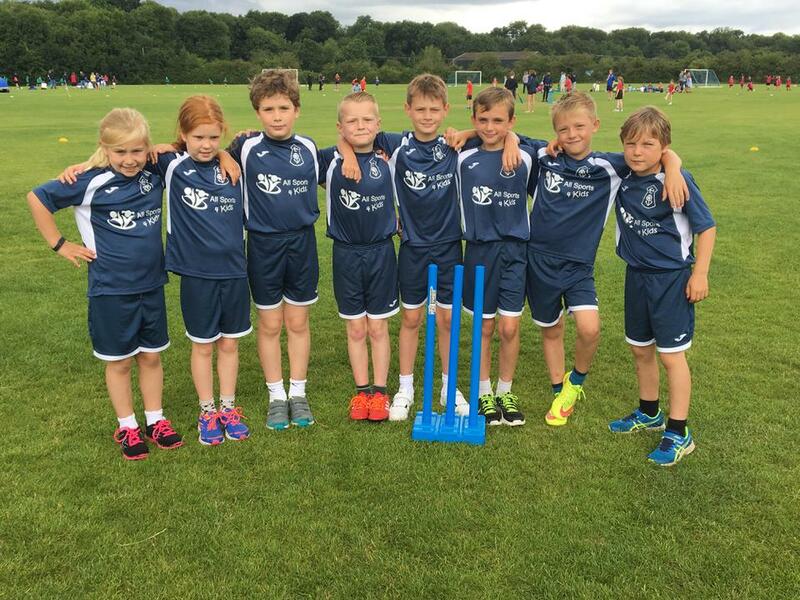 On Tuesday Mr Penfold took our Year 3 and 4 cricket team to Caldecote cricket club for the SSP Kwik cricket competition. The team won their first two matches but after a slight rain delay they lost the last two matches. They therefore finished in 8th place in South Cambs. Well done to all the players and thank you for the parental support as always. Yesterday morning, myself and Mr Penfold took our cross country team to the Great Abington Fun Run. We are delighted to announce that for the second year in a row we have become the champions! A fantastic race by all of our runners in particular Josh in 2nd place, Isabelle 1st girl and Charlotte 3rd girl. 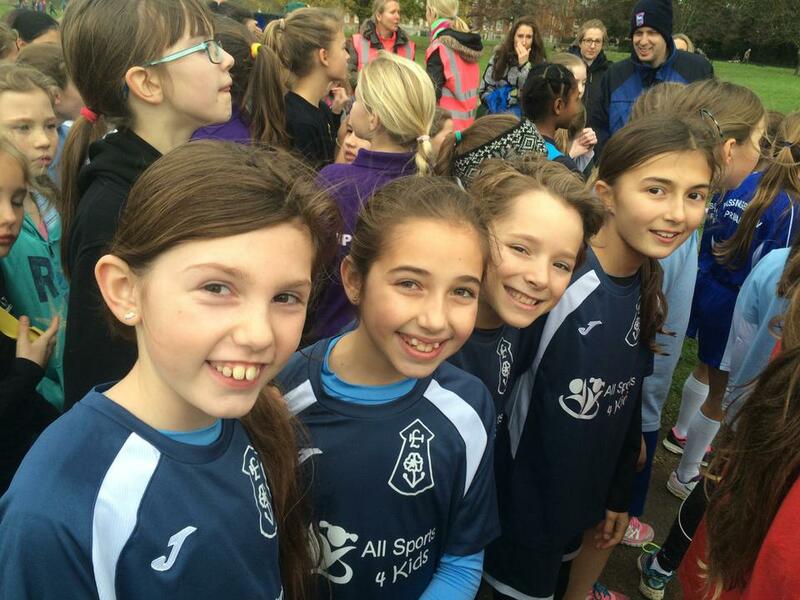 Thank you to all parents who came along to support the team. 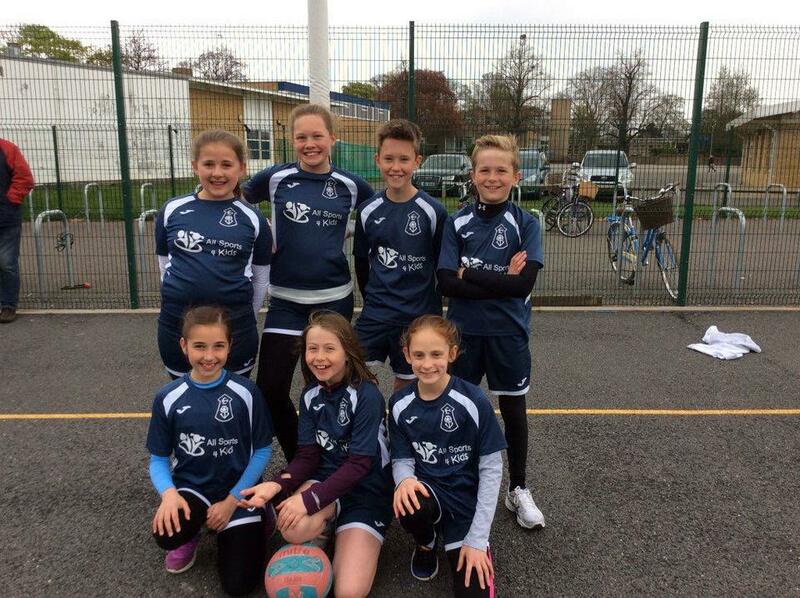 Following on from the mornings success, Mr Penfold and Mrs Cassidy took our netball team to the Cambridgeshire & Peterborough county finals. 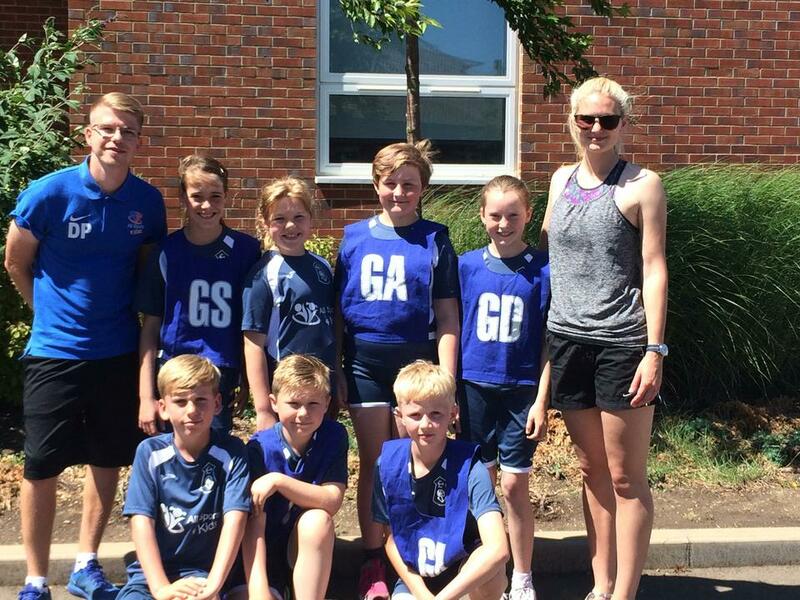 With some great netball played, the team won 3 matches, drew 1 and lost 2 matches overall. This gave them a 6th place finish in the county! A fantastic achievement for all! 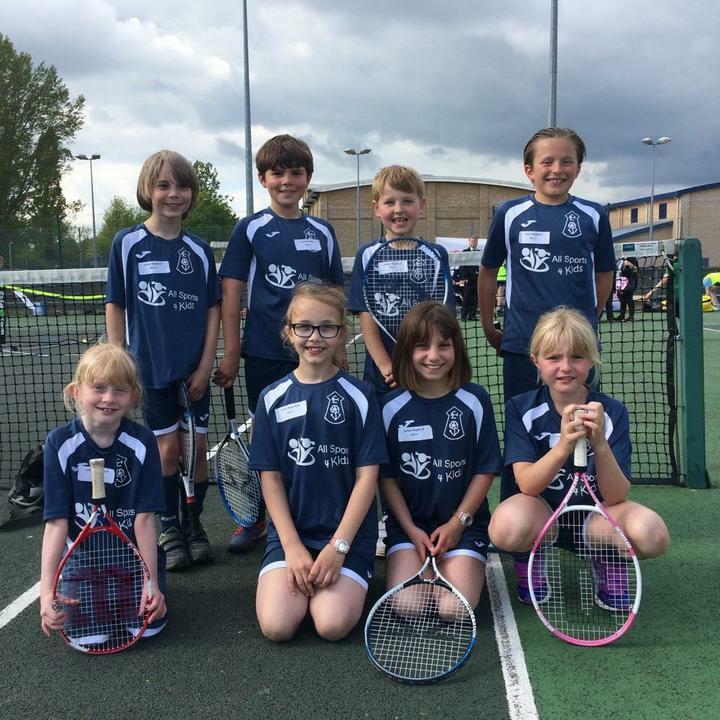 On Wednesday, Mr Penfold took two year 3/4 tennis teams to the SCSSP Mini Red Tennis competition. 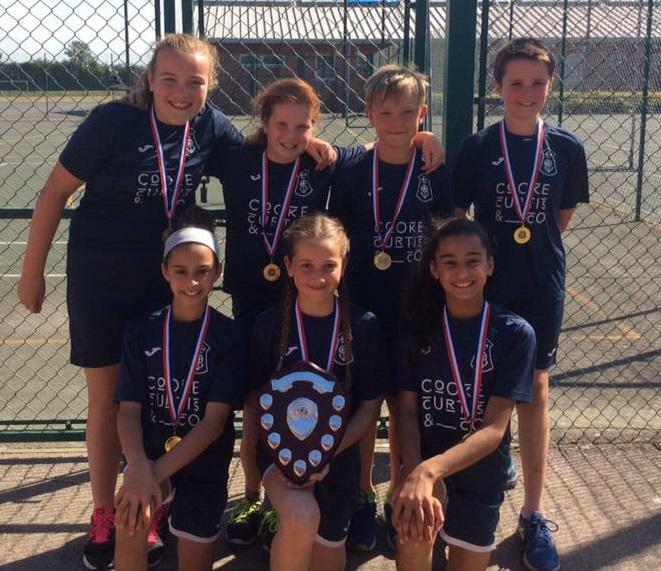 With some fantastic tennis played, once again Linton Heights have had sporting success. Our B team finished in 4th place in the poet competition and our A team finished 2nd place in the cup competition, qualifying them for the SSP finals! Massive well done to all players and a big thank you for all the parental support. 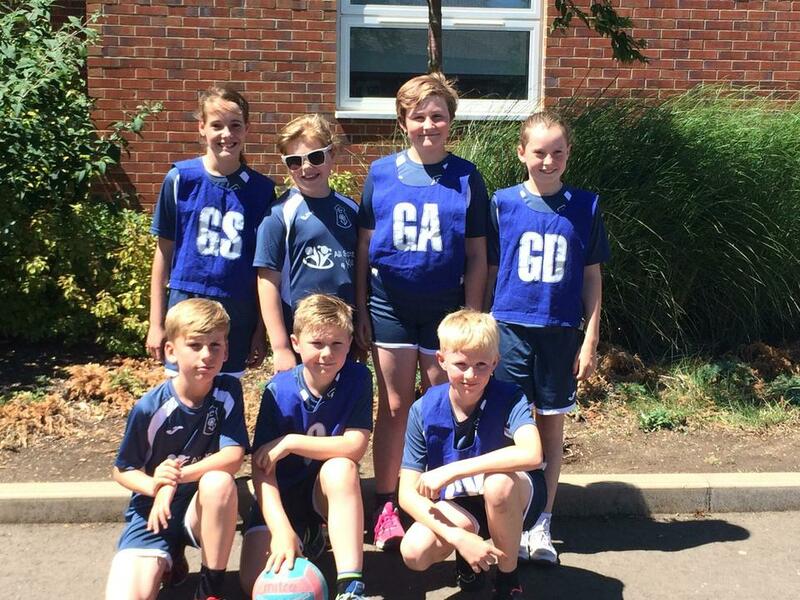 On Thursday afternoon the Netball A team attended the final of the South Cambs High 5’s Netball League. After finishing joint winners of division C with 2 wins and a draw the team were placed into division 2 and we are proud to announce that we won Division 2 giving us an overall 5th place finish. Well done to all of the players, Mrs Cassidy and a thank you to those parents who helped with transport and for supporting the team. 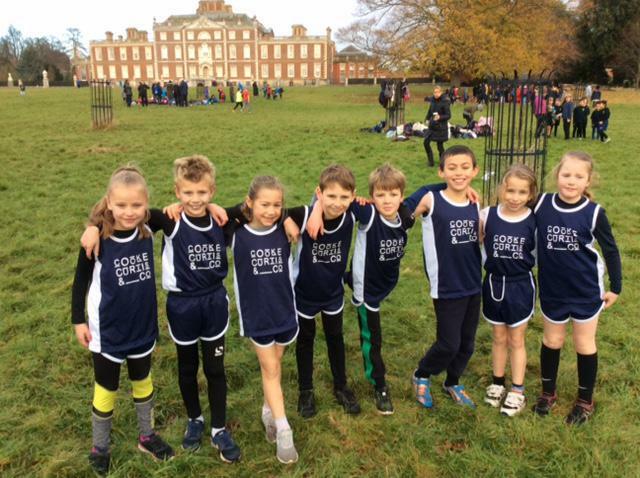 On Thursday afternoon the cross country team completed in the Cambridgeshire Primary Schools cross country relay championships in St Neots. We took six teams, 3 girls and 3 boys to race with over 250 other teams. All our teams had success with the highlights being that the boys A team finished in 6th place, the boys C team won their group event and the girls A team finished in 12th place. We are very proud of all our runners and we would like to thank all the parents who came along and supported us. 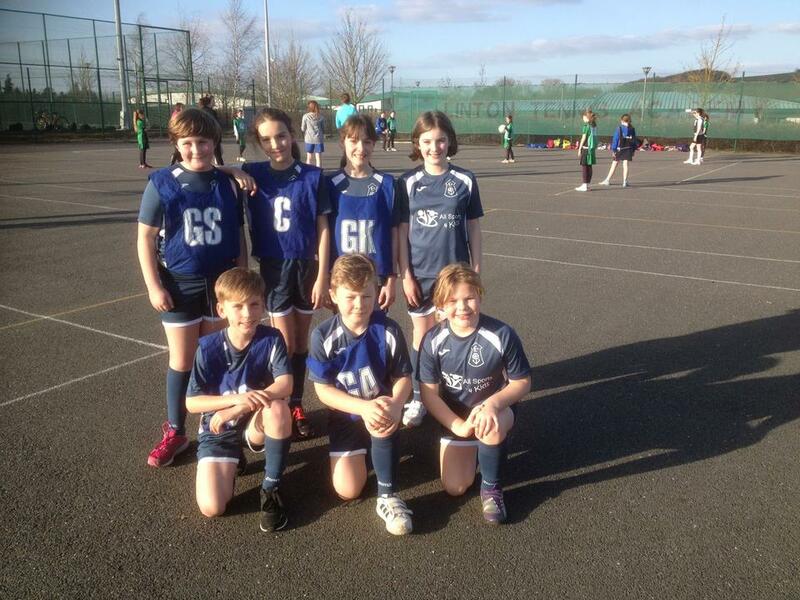 Also on Thursday afternoon the Netball B team attended the final of the South Cambs High 5’s Netball League. The team went from strength to strength winning all four games in the first round, one of them 4-0. This put the team into division 1 to play for the shield! After some fantastic goals and some brilliant defending, the team won 2 out of the 3 games in the final round, only losing out to the overall winners to come second. 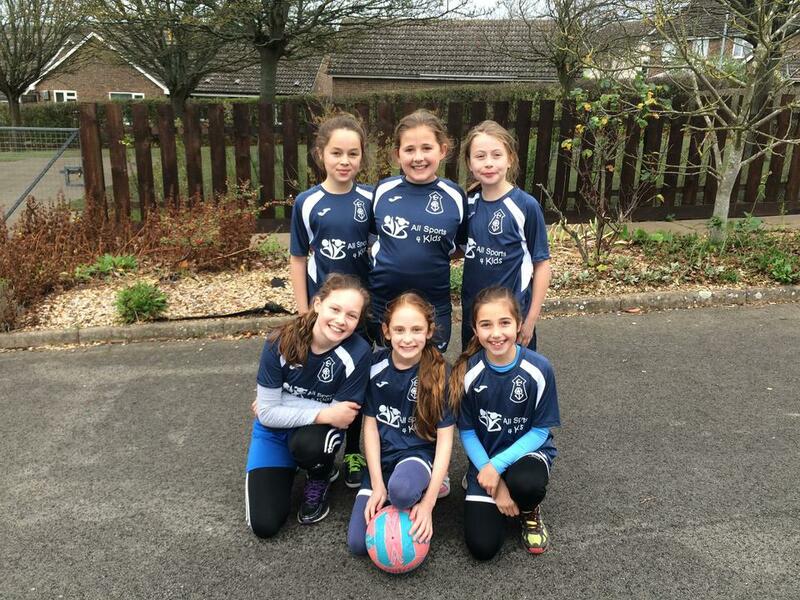 This is the greatest achievement of our school's netball B team so far, well done! 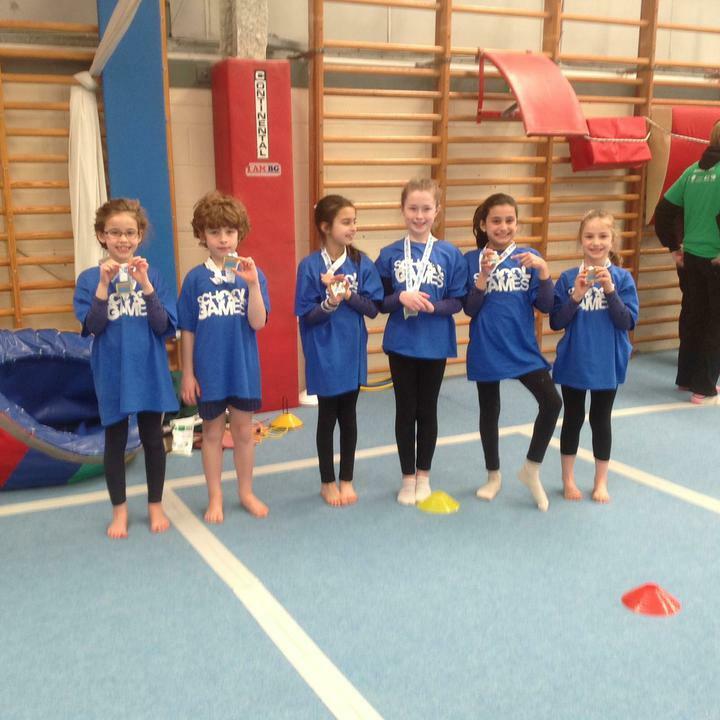 Once again our Gymnastics team continued their success, this time they competed at the School Games County finals and we are proud to announce they finished as runners up! Next stop, the Olympic Game in Rio De Janeiro! 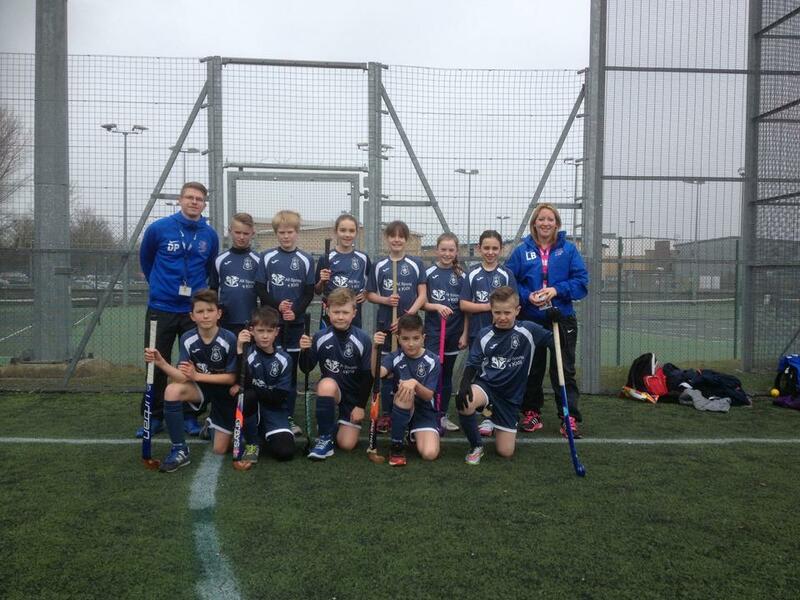 On Monday 7th March, we took our Hockey teams to the SCSSP Quicksticks Hockey competition at Comberton Village College. Our A team were placed in pool A and our B team in pool B. Our B team finished in 3rd place and this qualified them for a 3rd place play off match with Great Abington B which they drew leaving them with a joint 7th place finish overall in the competition. 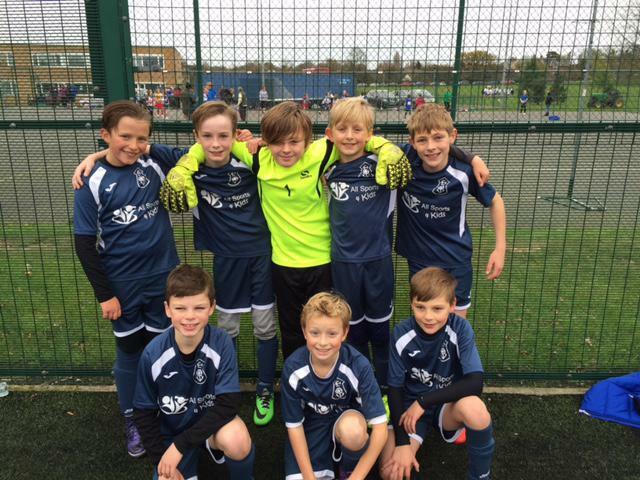 Our A team won their pool and this qualified the team into the semi finals where they played against Steeple Mordon A. After a tough match they drew this 1-1 even after extra time! This was decided on goal difference from the pools which saw us into the final against last years winners Histon & Impington Junior School A. After a very close game, unfortunately our team lost this 1-0. 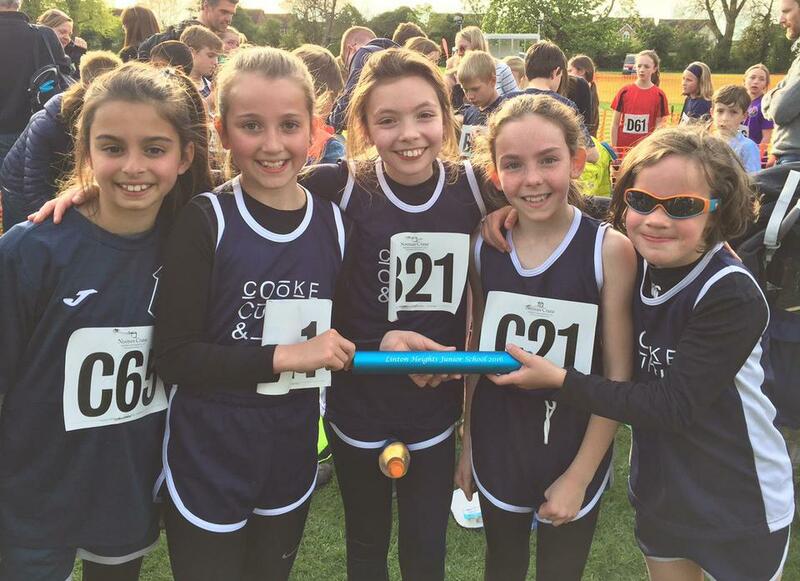 We are so proud of all of the efforts and the A team have qualified for the County School Games finals in June. Well done to all the pupils who played in both teams! 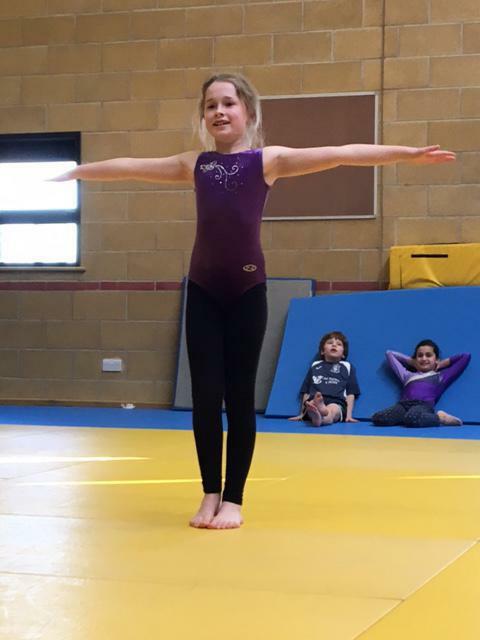 On Wednesday we took our Year 3 and 4 gymnasts to Comberton Village College for the Key Steps gymnastics competition. We are very proud to announce that in only our second year of competing we were crowned the South Cambs Champions, beating last year’s winners by 0.4 of a score! Well done to all who took part and a huge thank you to Nikki for all the coaching. 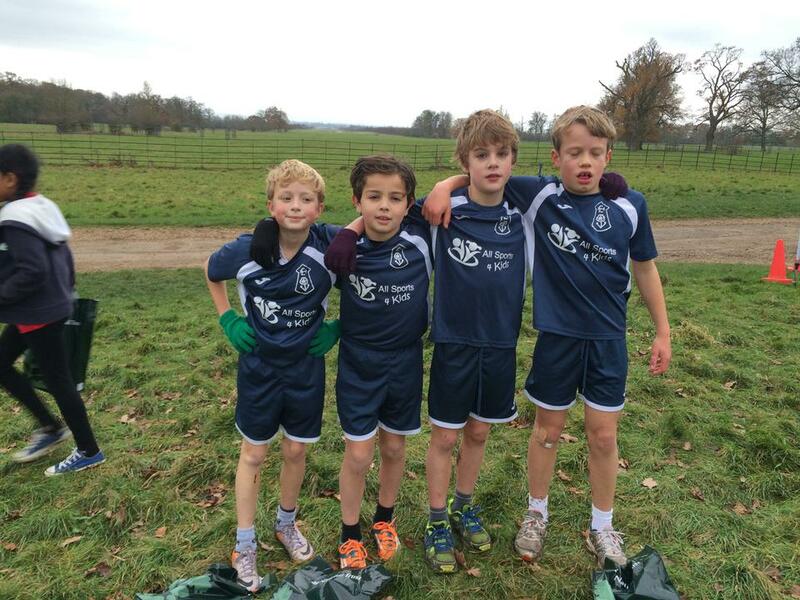 year 6 boys race overall! The shield and medals will be given out in next week’s Ceilidh. Mr Penfold would like to say a big thank you to all the parents who transported and supported the children yesterday. Well done to all, another trophy for the sports cabinet! 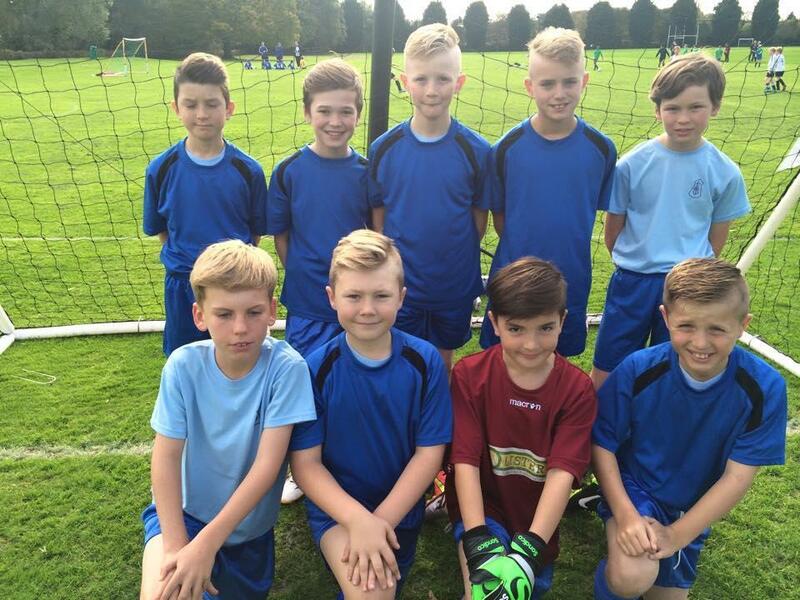 On Monday, Mr Penfold took our year 6 football team to The Football League Cup at Kings School, Cambridge. After winning group 1 the team progressed into the quarter finals with a comfortable win. In the semi final after a dominating performance, the score of 3-2 on penalties won them a place in the final. Our team then faced the hosts Kings School, in a tough match ending 0-0 with once again a penalty shootout which unfortunately our team lost. We are so proud of the team and all their efforts to get 2nd place. Well done! 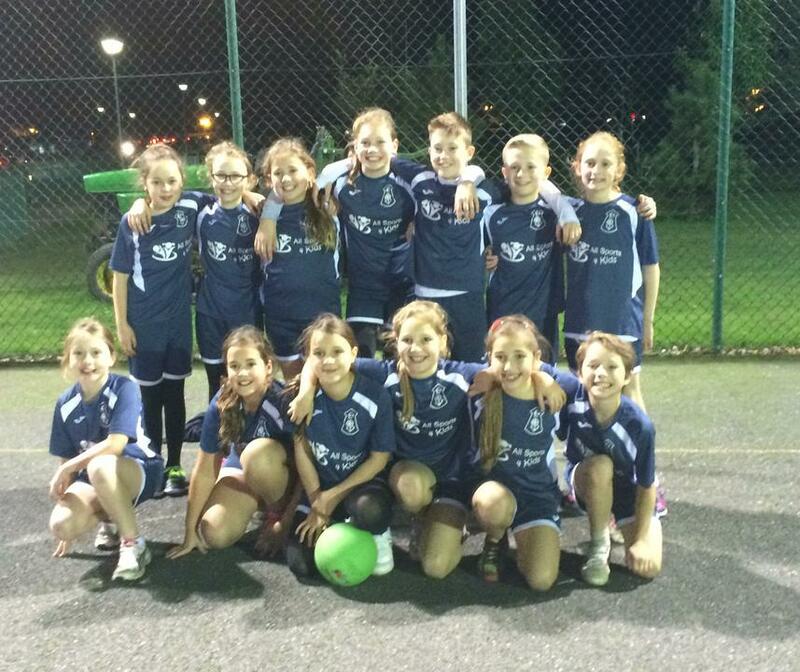 On Tuesday, Mr Penfold took our tag rugby team to the School Games competition at Melbourn Village College. 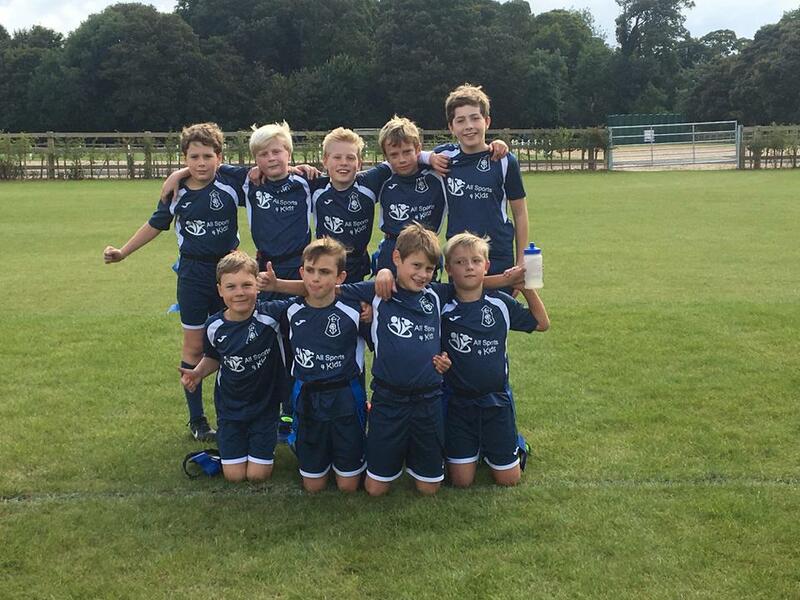 Placed into a difficult group 1 the team performed fantastically winning three matches convincingly and narrowly losing two. This gave our team a 3rd placed finish in the competition. Well done to all pupils who played in the freezing cold and rain! 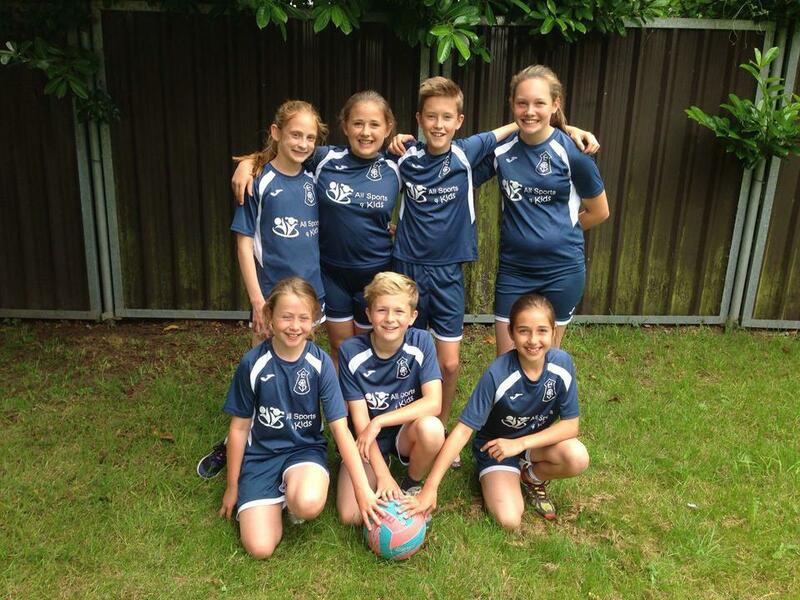 On Thursday 19th our school teams competed at the cluster netball and football competitions at LVC. All four teams played brilliantly. Both netball teams were runners up with the A team only losing on goal difference. In the football, the A team were runners up again only losing out on goal difference and the B team won. A huge well done to all who took part. the High 5's Netball Competition at LVC. We are very proud to announce that both our A and B teams are now in 1st place in their leagues. 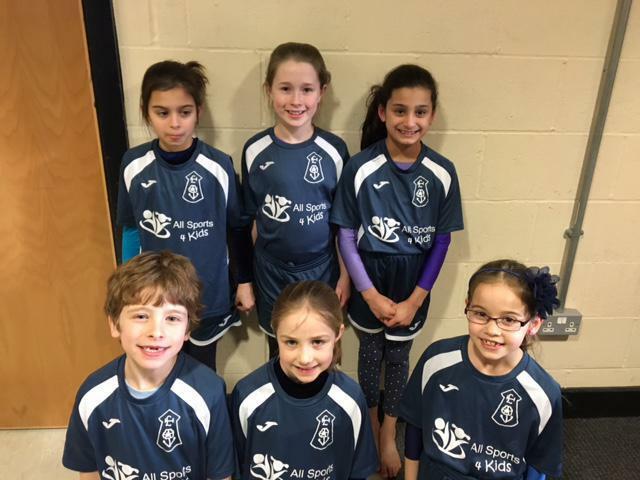 The A team won 3 matches and drew one, scoring 19 goals! The B team won 2 matches and drew one as well. Well done to all the pupils involved!! 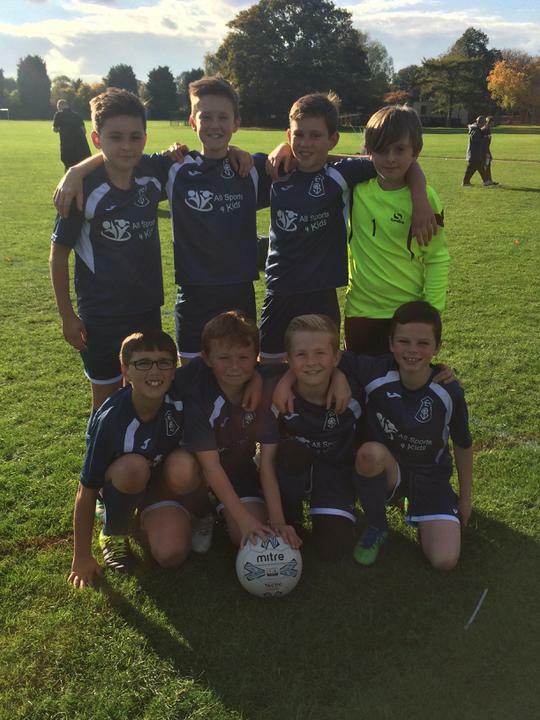 On Wednesday 20th October Mr Penfold took our year 6 football team to the ESFA Cup at Impington Village College. We are very proud of the boys who played as they won group 3 with a 100% record and narrowly lost 1-0 in the semi final finishing overall 3rd place. Well done boys! 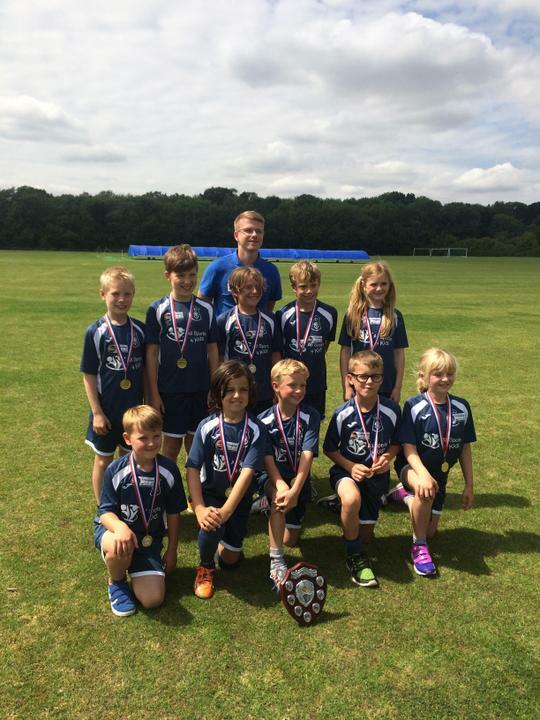 Congratulations to the Linton Heights cricket team who today came first in south Cambs Year 3 and 4 cricket tournament. 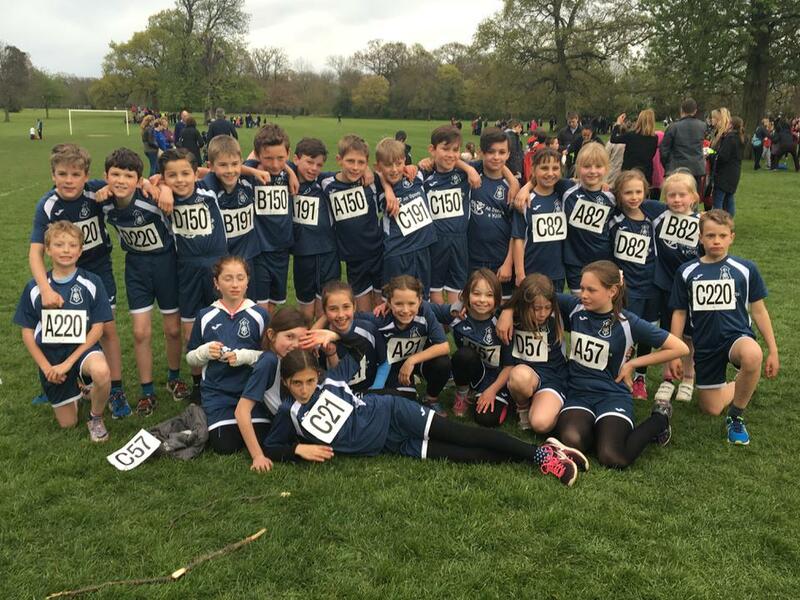 Another brilliant sporting victory for our school and a huge well done to the whole team! 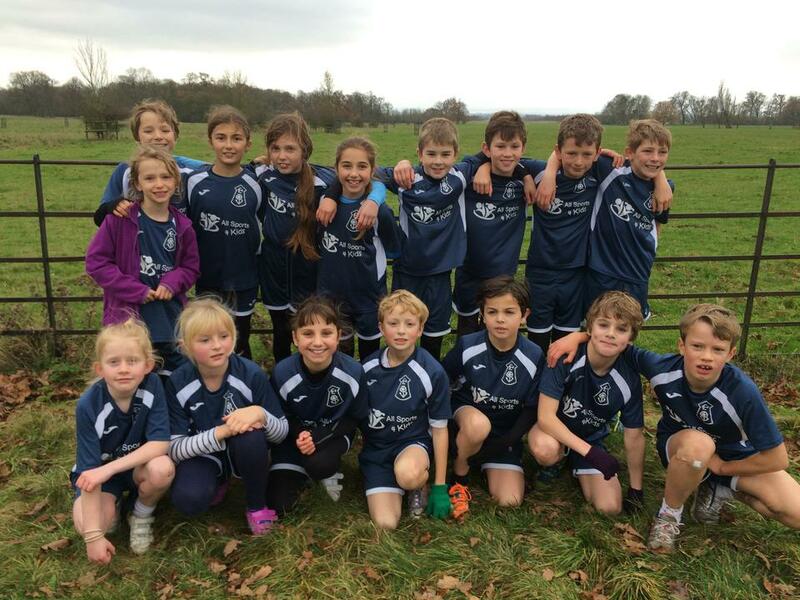 Congratulations to the Linton Heights running team who today won the cluster 2K race at Great Abington School. This is the first time we have won this event so it is a fantastic achievement! 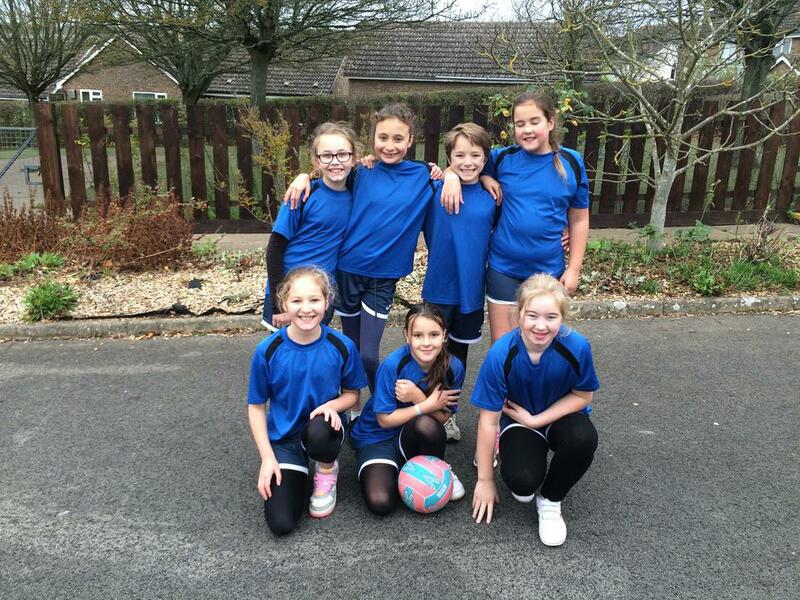 The Linton Heights netball team won division 2 and were 5th in the whole county! This is a great achievement and they have come so far this year! 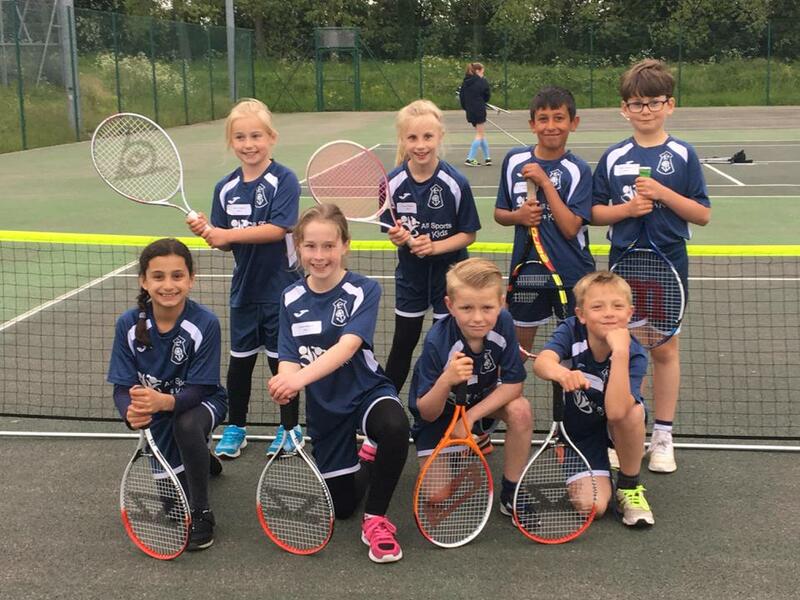 We attended the South Cambs Sport Schools Partnership Tennis Tournament on Wednesday evening. Linton Heights managed to come home with top achievements. 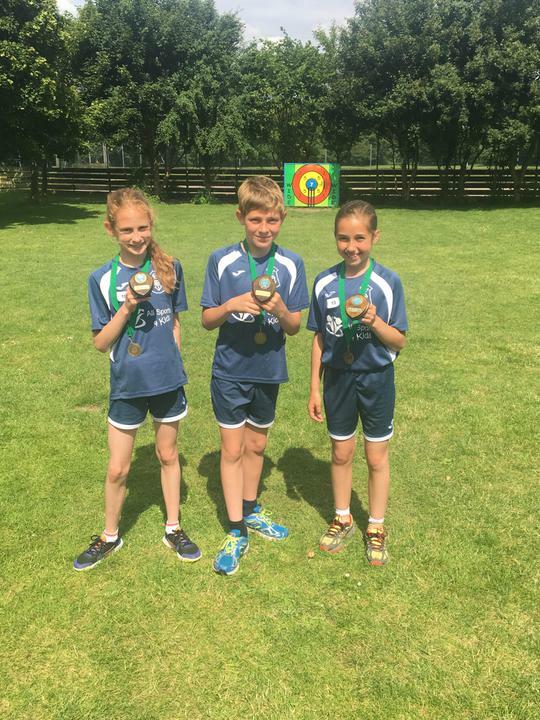 Team A in the Cup Competition were winners of Division 2 and 4th overall and Team B in the Plate Competition were winners of Division 6 and 7th overall. The children won and lost some games combined but showed great resilience and did their best. We are proud to say that every team player came home with at least one win. Well done to both teams! 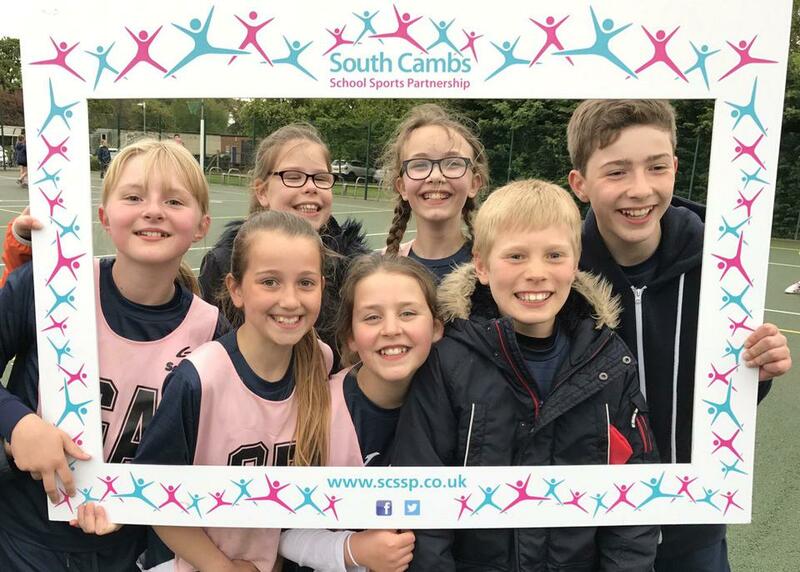 We are delighted with our Netball A team who came second overall in the South Cambs High 5’s netball finals, which means they have now qualified for the county finals in June. There were 14 teams that played yesterday but there are 50 teams in the league in total so it really is a fantastic achievement. We are very proud of all the performances. 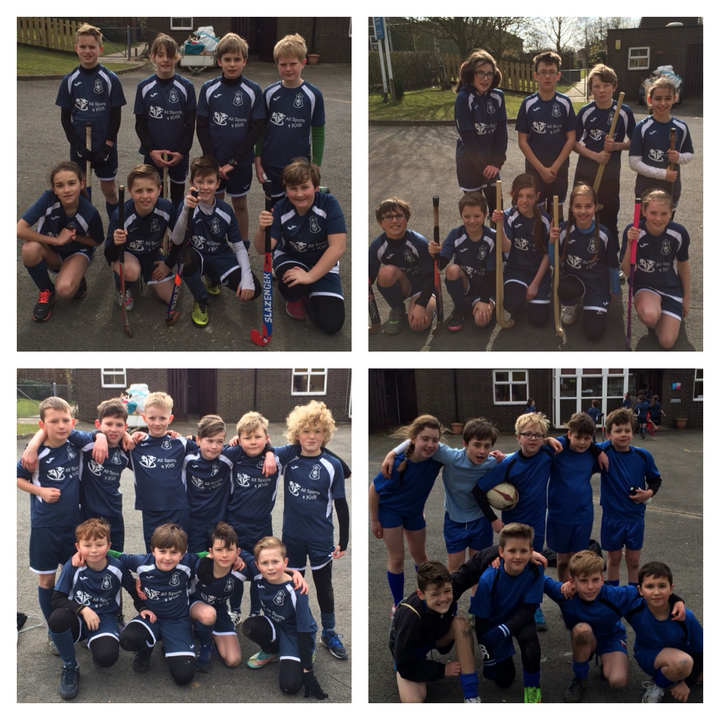 On Tuesday we took two teams to the Quick sticks Hockey Competition at Comberton Village College. Both teams performed to a high standard and were close to qualifying to division 1 but unfortunately just missed out due to goal difference. Both teams were placed in division 2 and we are proud to announce that the B team won their division and the A team were 2nd placed in their division. Well done to all who played. 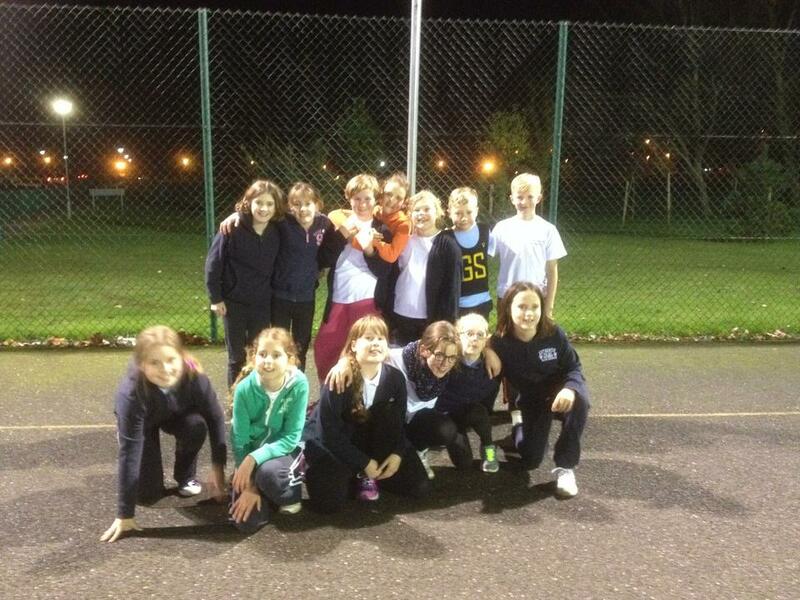 Tuesday saw Linton Heights compete in a sports cluster event at Linton Village College in the High 5's Netball League. We took two teams to the event and we are very proud to announce that both our A team and B team finished in 2nd place in their groups. 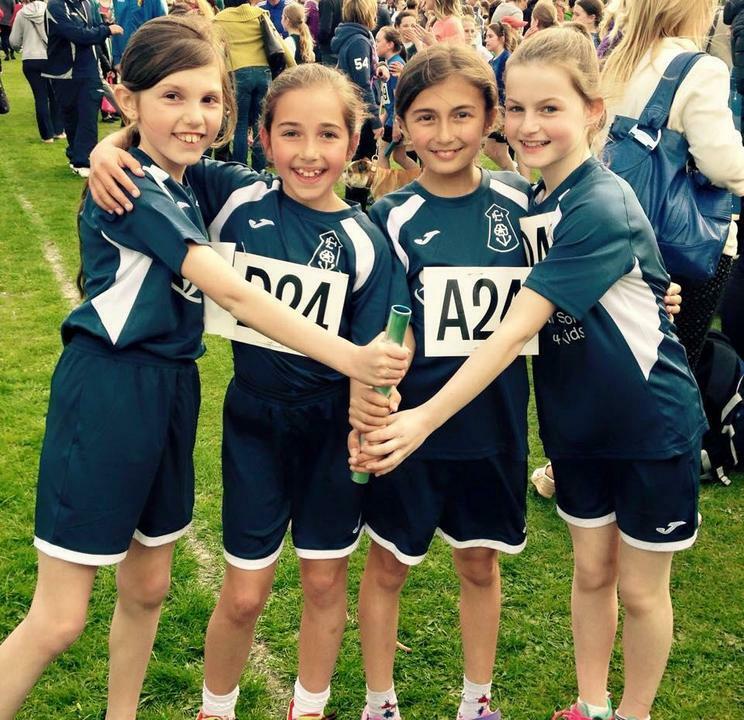 Another great sporting success for Linton Heights! 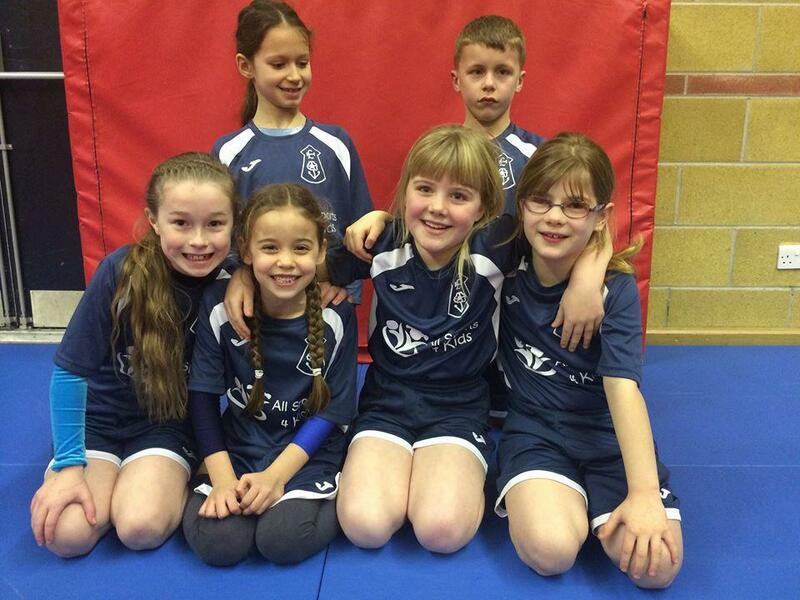 Wednesday saw Linton Heights compete in a sports cluster event at Linton Village College in Hockey and Tag Rugby. We took two teams in each sport to the event and we are very proud to announce our Hockey A team won the tournament and our Tag Rugby A team finished as runners up. Both of our B teams also played exceptionally well. Certificates will be given out in Ceilidh next Friday 13th March. Once again a great success with sports at Linton Heights! 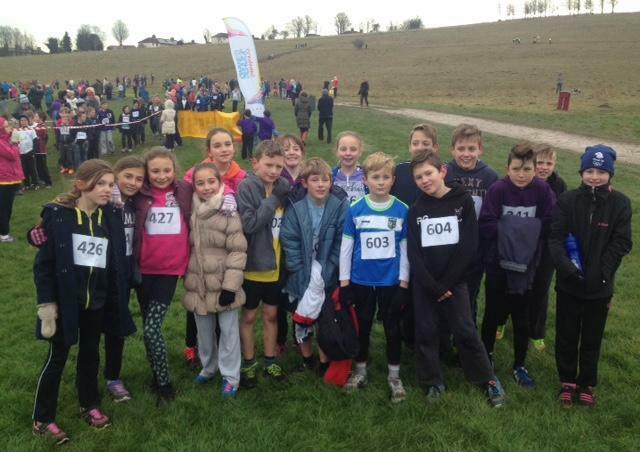 On Tuesday morning we took a team of 16 runners to Royston Heath and we are very proud to say that all the children ran very well. The overall team title was an extremely close competition with only 6 points separating the top 3 placed schools. 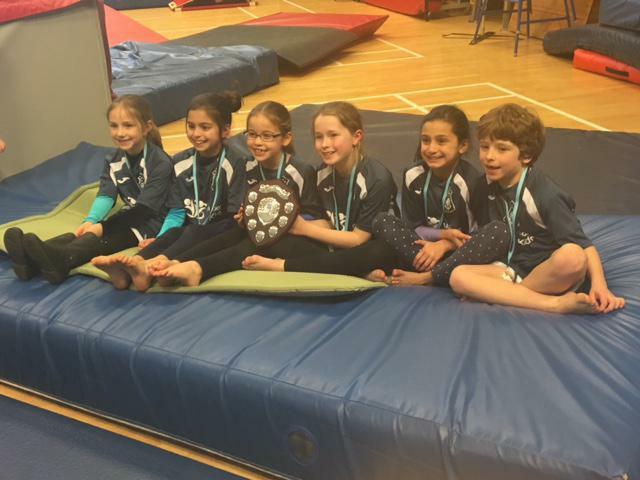 It was the team from Linton Heights Junior School that claimed the title of South Cambs Champions 2014-15 though beating defending champions Burrough Green by the narrowest of margins. Whilst last year’s runners up Steeple Morden took 3rd place. On Wednesday we took an A and a B team to the High 5’s netball league and I am very pleased to announce that we had great success. 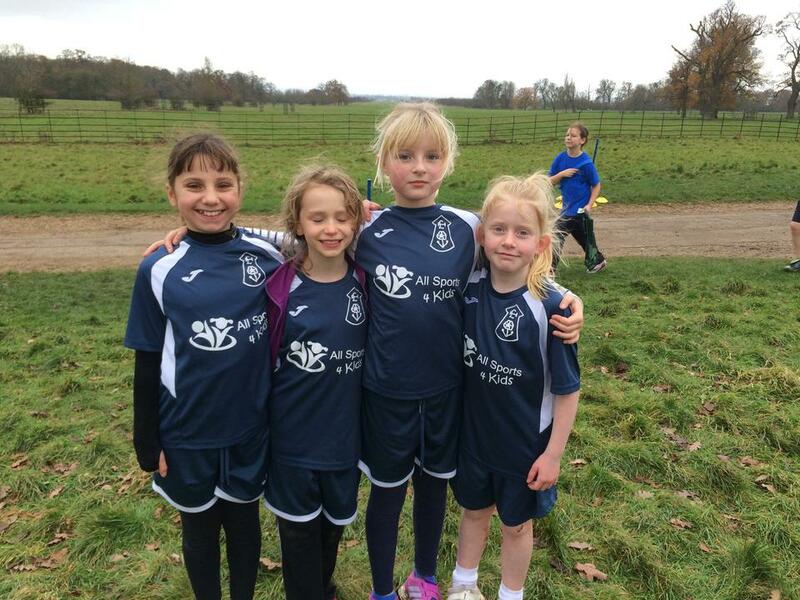 Our A team won all three of their matches scoring an impressive 18 goals. Our B team won drew and lost. 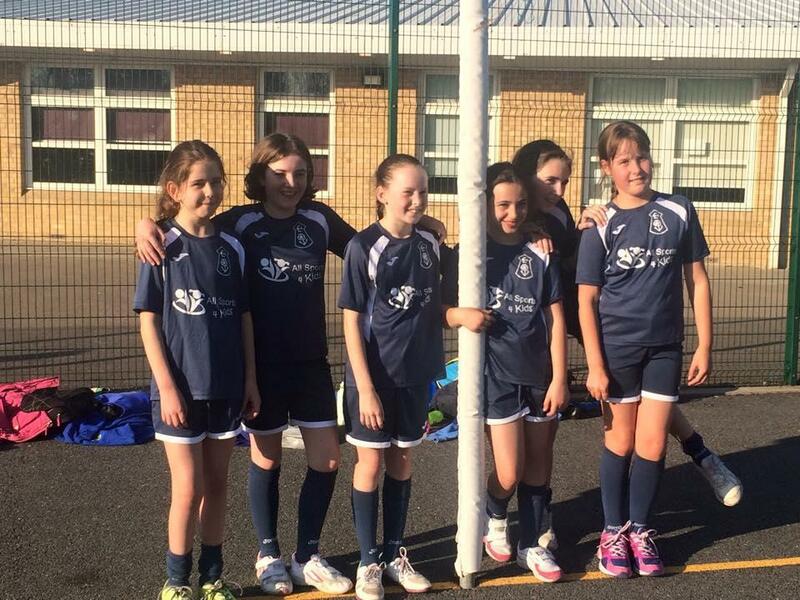 This is a tremendous improvement for the netball teams, so well done to all! 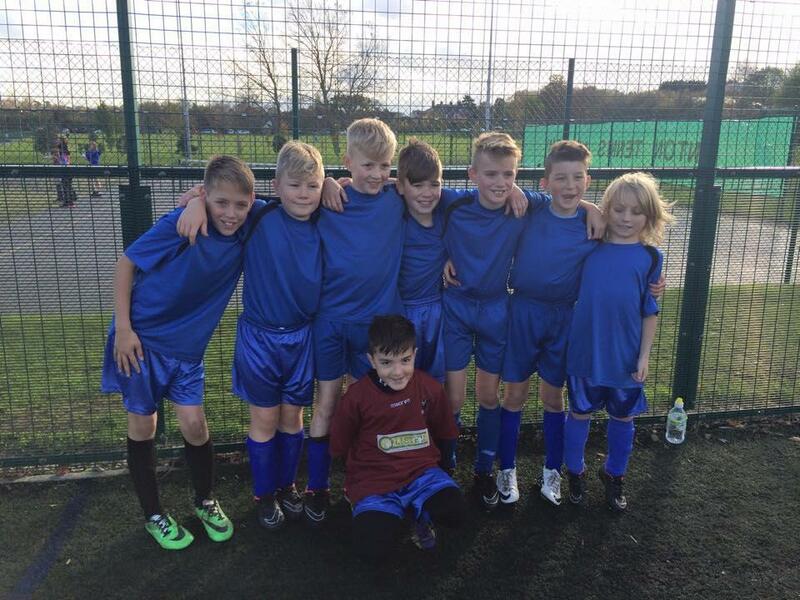 Congratulations to all of the pupils who took part in the football and netball tournament at LVC on Wednesday. 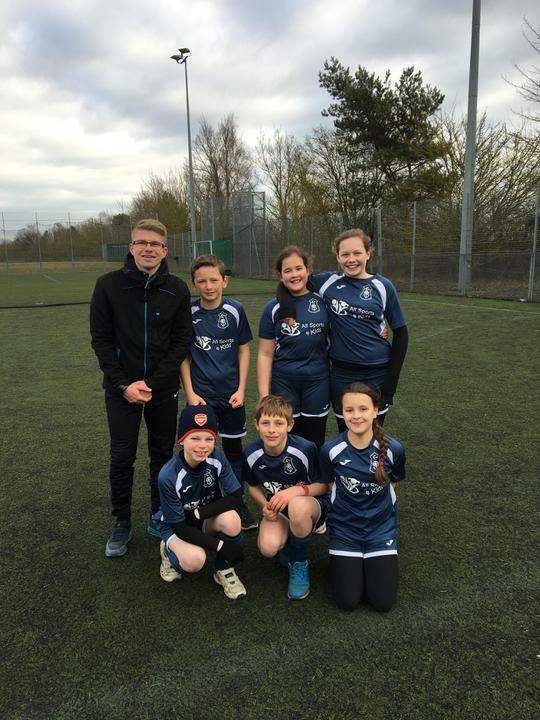 All of the teams played extremely well with our A and B football teams winning their group tournaments.